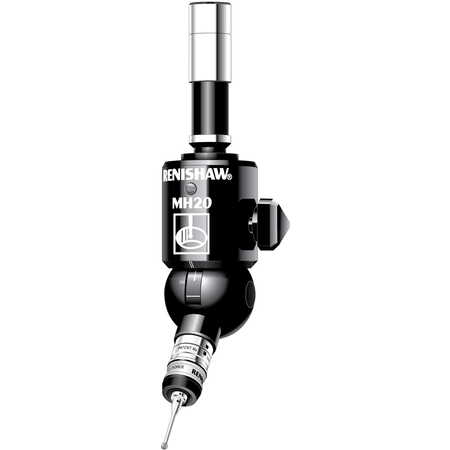 MH20 Manual CMM Probe Head - CMM Inc.
A manually adjustable probe head, the MH20 is an integral TP20 kinematic stylus module mount with an A-axis. The axis can rotate through 315° in the X-Y plane and the B-axis can rotate through 93° in the Z plane. The MH20 also has a thumbwheel that locks the swivel in any position within the movement envelope of the head. TP20 modules can be changed frequently, as long as qualification has already taken place and the head has not been re-adjusted. Also, qualification must take place after each head adjustment.